House for 8 persons, own garden, terrace, bbq, Internet, 2 parking places, etc. Gerlos is a nice little mountain village on 1.250m height and we have snow from december to April. Our house is fairly new (finished 2006).We only rent it out completely (for maximum 8 people) and minimum 1 week. The house is in the centre of the village, in a quiet spot because it is located in our big garden. Shops, restaurants, post office, bank, bakery, doctor etc. are all in the surrounding . Big garden with bbq garden chairs, playground and 2 parking places. It is not allowed to smoke in the house, and we don't accept any animals. 1 on the first floor with 2 balconies, 2 bedrooms (1 double bed and 1 bunk bed), big bathroom with shower and bath, kitchen, living room and toilet. the beds are made when you arrive. You also get towels. Directly situated in the Zillertal Arena: Snowsafe from december to April on 1250m. 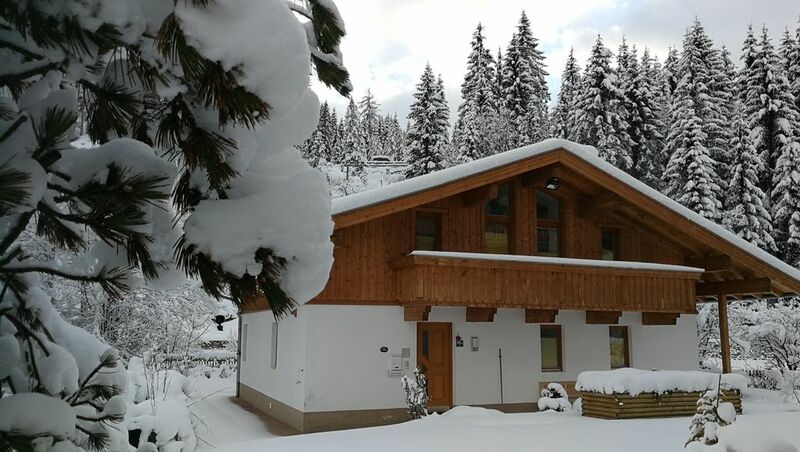 Pistes for all levels, snowboardpark, snowmachines, skiing down almost to the house possible (opposite site of street), tobogganing by night, horse sleigh rides, cross country skiing, snow shoe tours, etc. Gerlos is on 1250m height, a nice mountain village between Salzburg and Innsbruck. Close to the National Park 'Hohe Tauern', the great waterfalls in Krimml and the Großglockner street. Great hiking and skiing area with beautiful scenery and clean and terrific nature. In summer we have great offers for guided hiking, biking and nordic walking tours etc. for all levels. Great 'Austrian athmosphere', festivals with traditional music etc.. winter is still snowsafe here from december to mid april. Other Activities: Rafting, climbing, hiking, cross country skiing, nordic walking etc.